The Queensbridge Houses, the largest public housing complex in the country, near the spot where Amazon plans to put a new headquarters. Amazon's announcement, last year, that it is building a new headquarters in Queens, received mixed reactions. Some were excited about the tens of thousands of jobs the tech juggernaut is promising to bring to the New York City borough. Others wonder if they will even get access to those jobs, and if the area's already overburdened infrastructure can handle the influx of population. Chris Hanway says he noticed another, less impassioned response: apathy. Hanway is the executive director of the Jacob A. Riis Neighborhood Settlement, a nonprofit based in the Queensbridge Houses — the largest public housing complex in North America. It's just a few blocks from where Amazon is building the new headquarters. "People literally shrugged their shoulders and said, 'Well, we've been down this road before. It's not really going to affect us in any way,' " Hanway says. "Because they've lived this experience." "Queensbridge has always been literally and psychologically isolated," Hanway explains. "It's got the river on one side, the bridge on another and sort of light manufacturing buildings around it." But it's only a few subway stops away from bustling Manhattan, and in recent years, big companies took note of that. Ralph Lauren opened an office nearby, and so did JetBlue. These days, many neighborhood streets are lined with posh restaurants and cute boutiques. And yet, activists say Queensbridge residents haven't reaped the benefits. Hanway says, unemployment is high. He knows this community well, and he can't think of one person employed by the recently arrived major companies. "A lot of hopes and expectations were raised about JetBlue coming into the community, and those hopes ultimately fell flat. Very few, if any jobs came to the residents of Queensbridge." Hanway has met with Amazon officials, and made it clear, he wants more concrete promises. "What are our goals? How many local residents are we going to hire? Into what kind of jobs? How will we get those residents ready for these jobs? And there have to be benchmarks, and Amazon has to be held accountable for that." Ivy Strickland studies coding at Pursuit, which trains low-income adults for tech jobs. "I think we have a unique opportunity here and for New York to be a place where the technology community can thrive but also be inclusive," CEO and founder Jukay Hsu says. Hsu, who was once a Harvard classmate of Facebook creator Mark Zuckerberg, says he saw how his school friends revolutionized technology. But then he'd come home to his native Queens and wonder about those left behind. Hsu is also a co-developer of Amazon's new headquarters. His goal is to make sure the company relies heavily on local talent. "Amazon, when it's here, can be embedded in Queens. Amazon's coming to Queens, but we want to bring Queens to Amazon," he says. In a lounging area outside the Pursuit lecture room, I meet a 26-year-old coding student, Ivy Strickland. She says she's excited about Amazon coming to town. "I'm the youngest of three children. My mom had us when she was a teenager," she says. "Imagine me, someone who now makes like, under $20,000 a year, able to get a job that could pay me enough that I would be able to do certain things, like pay my mom's mortgage or help her out." "To see the way that you can take something so small and grow ... I guess for me, personally, to know where I've come from, it's like the same thing: I can see myself growing," Strickland says. One of Amazon's shiny new headquarters will be located in a part of New York City that has long struggled. 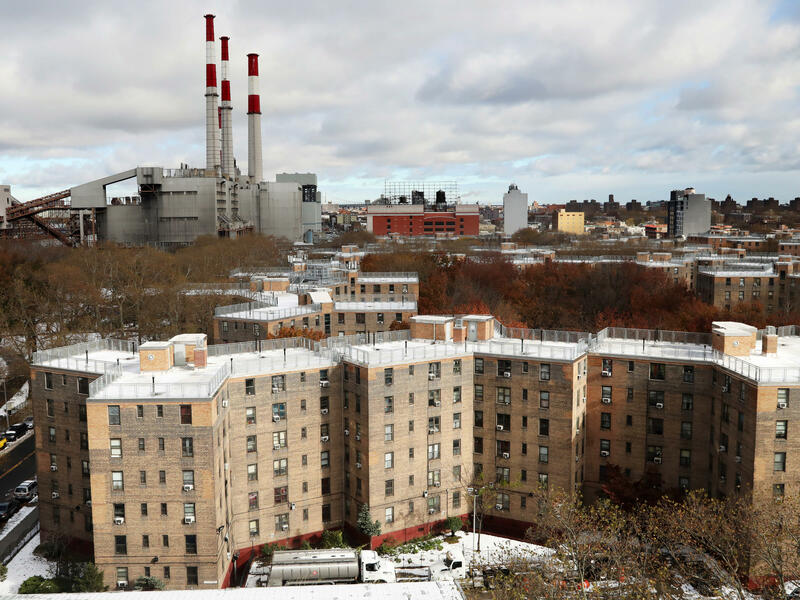 It'll be just a few blocks away from Queensbridge Houses, which is the name of the largest public housing complex in North America. So what will that mean for locals? NPR's Jasmine Garsd reports from Queensbridge. JASMINE GARSD, BYLINE: The Queensbridge public houses are just two subway stops away from bustling Manhattan. But Queensbridge feels like a completely different world. Chris Hanway is the executive director of the Jacob A. Riis Neighborhood Settlement, a nonprofit which provides services to the community. CHRIS HANWAY: Queensbridge has always been literally and psychologically isolated. It's got the river on one side, the bridge on another and then sort of light manufacturing buildings around it. GARSD: ...And the strength of its people. HANWAY: People literally shrugged their shoulders and said, well, we've been down this road before. It's not really going to affect us in any way - because they've lived this experience. GARSD: Amazon, which is an NPR sponsor, declined to comment. But the company has promised to fund infrastructure, a school and a tech incubator. It also says it will host job fairs for locals. Chris Hanway has met with Amazon officials and made it clear he wants more concrete promises than that. HANWAY: What are our goals? How many local residents are we going to hire - into what kind of jobs? How will we get those residents ready for these jobs? And there have to be benchmarks, and Amazon has to be held accountable for that. GARSD: On a chilly weeknight, I head over to an area near the Queensbridge Houses. It's a lot of warehouses and storage units. But inside one building, I find a software developer training class. GARSD: The students listening intently to the lecture are mostly Latino, African-American, and there's plenty of women - faces that are scarce in Silicon Valley. The class is part of a nonprofit called Pursuit, which trains low-income adults for tech jobs. Pursuit is also the designated community partner, co-developer and part owner of the new Amazon headquarters. Here's CEO and founder Jukay Hsu. JUKAY HSU: I think we have a unique opportunity here and for New York to be a place where the technology community can thrive but also be inclusive. GARSD: Hsu, who was once a classmate of Facebook creator Mark Zuckerberg at Harvard University, says he saw how his school friends revolutionized technology. But then he'd come home to his native Queens and wonder about those left behind. He wants to make sure Amazon's new headquarters relies heavily on local talent. HSU: Amazon, when it's here, can be embedded in Queens. Amazon's coming to Queens, but we want to bring Queens to Amazon. 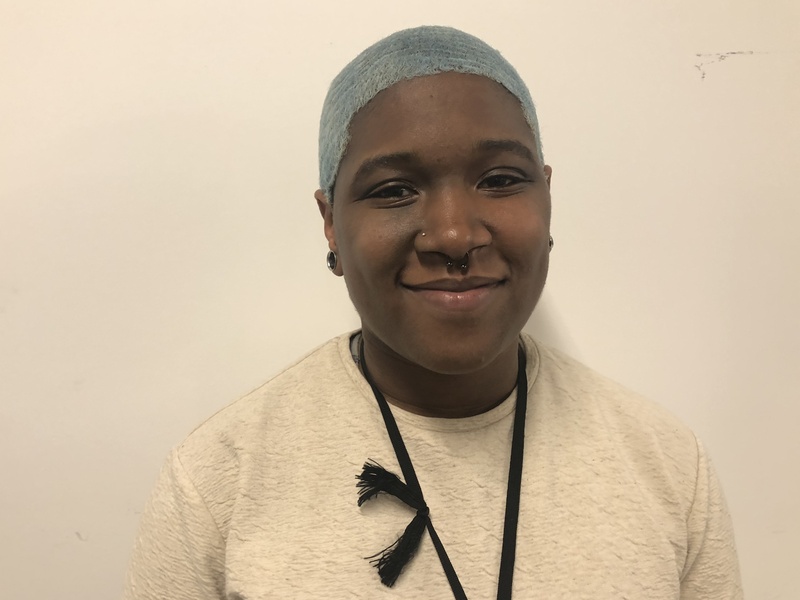 GARSD: In a lounge area outside the Pursuit lecture room, I meet a 26-year-old new coding student, Ivy Strickland. She's from Harlem. She tells me she's excited about Amazon coming to Queens. IVY STRICKLAND: I'm the youngest of three children of a single mom. My mom had us when she was a teenager. So imagine me, someone who now makes, like, under $20,000 a year, able to get a job that could pay me enough that I would be able to do certain things, like pay my mom's mortgage or help her out. GARSD: Although she only recently started coding, she loves it. She says she sees it as a metaphor of how, piece by piece, you can build something amazing. STRICKLAND: To see the way that you can take something so small and grow, I guess for me personally, to know where I've come from, it's like the same thing. I can see myself growing. GARSD: Whether or not this city and this neighborhood will be able to grow and build something good with Amazon remains to be seen. For the time being, there's hope, a good measure of distrust and plenty of that legendary Queens strength. Jasmine Garsd, NPR News, Queens. Transcript provided by NPR, Copyright NPR.